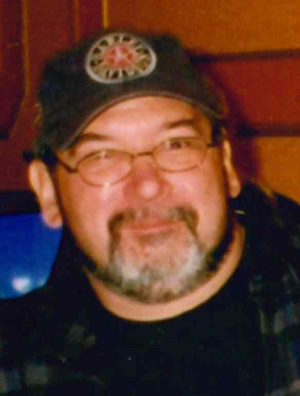 Stephen J. Wysock, 59, of Columbia, PA, died of natural causes on Thursday, November 22, 2018 at home. Born in Lancaster, he was the son of the late Joseph Sr. and M. Jeanne Wysock. Steve was employed by the Commonwealth of PA Liquor Control Board. Stephen was a graduate of J.P. McCaskey High School. He earned his Associate’s Degree in Electronics from Thaddeus Stevens College of Technology and his Bachelor of Science in Computer Information Systems from Albright College. In addition to spending time with his family and friends, Steve enjoyed his Harley Davidson motorcycle and collecting various genres of music. He was married to Brenda Martin Wysock. Surviving in addition to his wife are a son, Philip Martin; granddaughter, Riley Sue Thomas; sister Lynn married to Scott Clark; brother Joseph Jr. married to Gayle Wysock; 6 nephews, Joseph III, Justin, Adam, Jesse, Aaron, and David; 2 nieces, Christina and Emily, 8 great-nephews; and 2 great-nieces. A funeral service will be held on Tuesday, November 27, 2018 at 12:00 PM at the DeBord Snyder Funeral Home, 141 E. Orange St. Lancaster, PA 17602. Friends may greet the family from 11:00 AM until the time of service. Interment will follow at the Longenecker Reformed Mennonite Cemetery. In lieu of flowers, memorial contributions may be made to the Disabled American Veterans, P.O. Box 14301 Cincinnati, OH 45250-0301. So sorry to the Wysock family. You are in our thoughts. It will never be the same @ the PLCB without you, Steve. “Clear the cache!” God Speed. So sorry to hear this. My thoughts and prayers go out to all of you. My heart is breaking. What a truly nice guy. He will be missed at the PLCB. Sending prayers to the family. I had the pleasure of meeting Steve while working at Revenue, such a nice man and it saddens me to learn he was taking too soon. God bless his family. May he rest in peace. My prayers go out to the family. Nice man…we worked together for many years. He will be sadly missed. May he now be with Christ forever. I worked closely with Steve at Revenue. He was a pleasure to work with. Always kind, considerate, and upbeat. His calm demeanor under stress was a model for me to follow. He will be missed. Our dear friend, Steve, you will be missed terribly. Always sweet, kind and loving, you will always be in our hearts. Remember, now in Heaven anything goes. Prayers and thoughts to your loving family for healing. Condolences to the Wysock family. Our thoughts and prayers go out to your whole family. Psalms 147:3 says God, “heals the broken hearted, and binds up their wounds.” to May God bring you comfort and peace. It really saddened me when I heard about the ill-timed death of Steve. My thoughts and prayers are with you and your family. Steve was a great human being, and he will be sorely be missed. I was very shocked when I heard of his demise.Throughout the day I kept reminiscing all the wonderful times I had with him. He was a good person to me. I especially remember the time when we met for the first time on a wrestling mat. I can imagine the sorrow your family must be feeling, but please give accept my condolences. I can understand how hard it must be for you, as you too were very close to him. It was a privilege working with Steve. He was always helpful, kind, and never too busy not to listen. We will miss him. The Wysock family would like to thank all Steve’s family and friends for their heartfelt condolences, prayers, and cards. Thanks also for your kind words regarding Steve. We appreciate it and know Steve does too. May God bless.